Since its birth in 1960, the Grand Seiko watch shared the commitment to the pure essentials of watchmaking: precision, durability, legibility and beauty. The 55th anniversary Limited Edition features enhancements in each of these essential characteristics of the Grand Seiko. This wristwatch is powered by a specially tuned version of the Spring Drive calibre 9R96, an automatic calibre with a manual winding mechanism. This unique movment is specially tuned for enhanced accuracy. The crystal oscillators are selected individually, realizing an accuracy of +/- 10 seconds per month. A lion emblem in 18 carat yellow gold graces the oscillating weight to symbolize the enhanced accuracy. 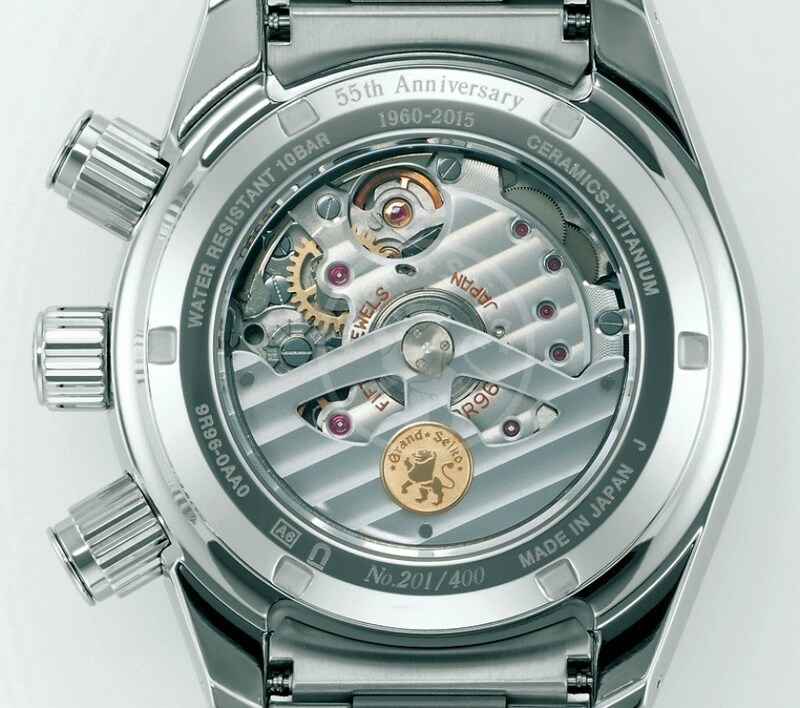 The 9R96 movement has a 72 hours power reserve. It also has a lot of great functions that include the time with subsidiary seconds, date, power reserve indicator, GMT hand, and a 12-hour chronograph. 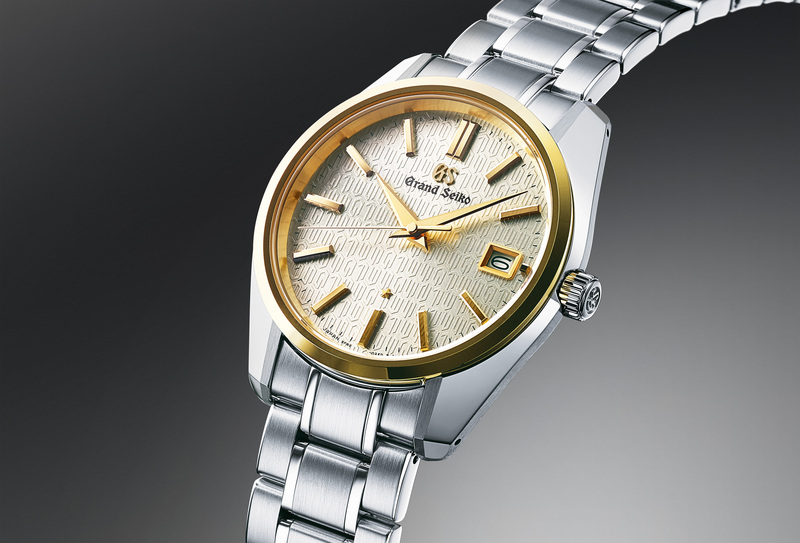 This is the first ever Grand Seiko watch to use a ceramic bezel. The deep black ceramic on the bezel gives the watch a crisp and refined appearance. Ceramic is seven times harder and 25% lighter than stainless steel and therefore especially scrat resistant. Its surface is specially polished to the highest possible level to create a long-lasting and super-flat mirror finish. The 43.5 mm case is made from high-intensity titanium and it features a high definition dual-curved sapphire crystal with anti-reflective coating. 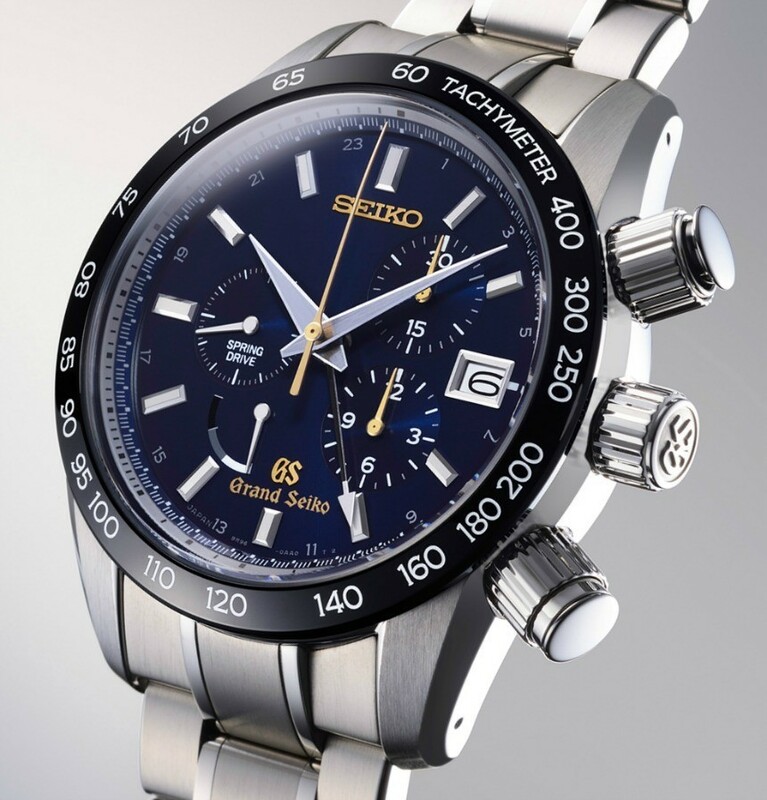 The signature colour of the Grand Seiko is a deep blue and it sets the tone for this watch. The chronograph hands are golden, creating a strong contrast with the blue dial and giving high legibility to the stopwatch function. Both the movement and the complete watch are assembled in the Shinshu Watch Studio, in the mountainous area in the center of Japan. 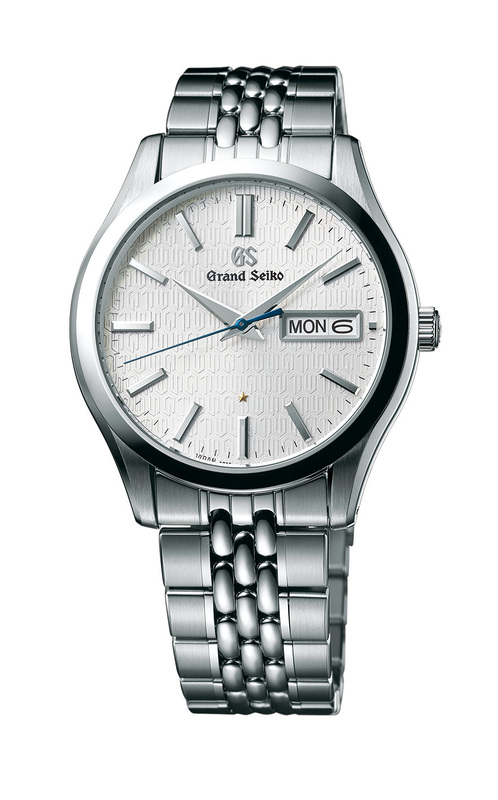 The Grand Seiko is water resistant up to 10 Bar and features a titanium bracelet. 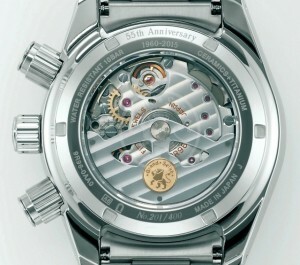 The watch is offered in a limited edition of just 400 pieces.